Open C-form steady rest with tiltable upper section, for the assembly on Mazak centre lathes. All guides are operated from the bedienerseite. 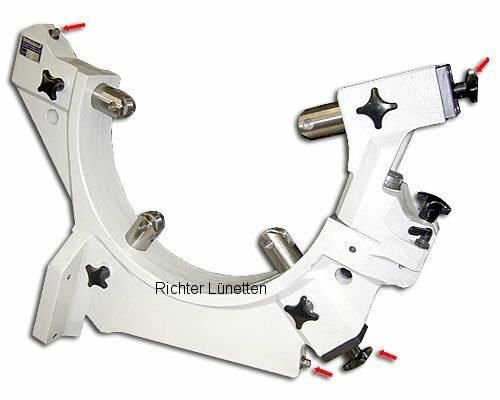 The workpiece is to be inserted by tiltable upper section easy. Attachment of the steady rest at the Mazak lathe slide over 4 screws at the console plate.